Every business, no matter what size it is or which industry it serves, needs an information security policy. After all, every business handles potentially sensitive personal and financial data about their customers and employees, and it is imperative that you have a recourse in the event that things go wrong. While no security policy will protect a company from all possible breaches, its goal is to bring down the risk to acceptable levels. There will always be the possibility of falling victim to unknown zero-day threats, but a sound security policy can help you ward off many potential threats as well as cover your back when taking legal action. Security is not just a concern for IT departments and nerds. Today’s economy is very much an information-based one to such an extent that it’s almost impossible, and hardly desirable, for businesses to eschew modern technology altogether. Nonetheless, your security policy should take all information, whether digital or printed, into account. It should be treated as a core element in all decision-making processes both within and beyond your company’s IT department. Without a full-fledged and business-wide security policy in place, you’ll be leaving your organization open to attacks by criminals, disloyal employees and much more. Just like the law, a security policy is only as good as the way in which it is enforced and how informed people are. If your employees are unaware of its existence, then there’s almost no point in having a security policy in the first place. However, simply presenting a copy of your security policy to your staff and hoping that they’ll review it thoroughly won’t be very useful either. Instead, you need to accompany the ongoing development of your security policy with training and awareness. You’ll need to further refine your security training program on a per-department basis, since there’s no point in investing money training employees in areas that don’t concern them. The information age constantly changes and evolves. New threats come and go as new hardware, software and other technology makes its way into the business world. 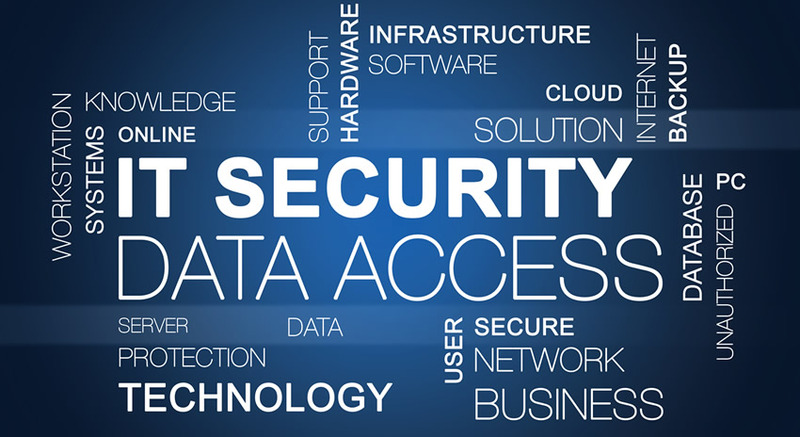 Consequently, the various security threats facing businesses also change over time, so it’s important to keep your security policy up to date. Security is not a static situation, so your policy needs to take into account the rapidly changing nature of both online and offline threats. You establish a strict security policy-auditing schedule every few months and update and revise the policy as required. It’s also important to take these steps after carrying out any major hardware and software upgrades. A security policy should serve as a legally binding contract that all of your employees agree to upon taking up their positions in your company. If the policy is not official in such a manner, then it with be almost worthless, serving as nothing more than guidelines rather than rules. Your security policy should clearly designate authorities and access to potentially sensitive information and, equally importantly, it needs to make clear the consequences of breaking the rules. For the development of a rock-solid security policy, it’s highly recommended that your hire a technical lawyer to ensure that you have everything covered from a legal perspective as well. While a good security policy is a crucial asset for any modern business, you don’t want it to become so oppressive that your employees start to feel like they’re working in a police state. If your employees don’t have any outlet because your security policy disallows absolutely everything but essential work-related activities, they’ll quickly grow miserable and will be more likely to seek out ways to bypass the barriers. Contrary to popular belief, employees need to be distracted at times in order to work more productively the bulk of their time, so it’s important your security policy allows for some freedoms when it comes to non-critical company resources. Although everyone in your business should follow the rules laid down by your security policy, that doesn’t mean that it needs to, or even should, be closed for discussion. By empowering your employees to criticize your policy and suggest amendments to it, you’ll be able to make their roles in your business more meaningful and rewarding. Including everyone in the ongoing development of your security policy will lead to a far healthier working environment as well as make your policy more effective. After all, a more dedicated and productive team also means having a more secure corporate infrastructure. It’s already long been a standard business practice to build a security policy and, as such, there are many nationally and internationally recognized standards and practices. If you’re not particularly familiar with the inner workings of corporate security, then you’ll either need to consult a professional, such as technical lawyer, or seek out some literature on the subject. The Standard of Good Practice is one of the leading guides on business information security, as is the NIST SP 800-1oo Information Security Handbook. Both of these guide books are targeted towards company managers and are updated every few years. Everyone in your business needs to abide by the security policy, and the consequences of violating the rules should apply to all concerned. If you have a situation whereby certain employees are favored over others in that they have assumed entitlement, you’ll only achieve creating a toxic atmosphere in the workplace. After all, if a business’s top executives are seen violating the rules, it hardly sets a good example to people lower down the company’s personnel hierarchy. Your security policy will only be effective if it applied to everyone in the company. It should never allow for favoritism. Getting your employees to sign a security policy doesn’t mean you have the chance to enforce any rules you like, perhaps in the hope that they won’t pay much attention to the small print. Regulations and compliance dictate what you can and cannot do, and no security policy will be valid in a court of law if it attempts to violate the rules laid down by the law in the first place. For example, there are increasingly strict privacy laws in many countries that place limitations on things like staff monitoring, and breaking them can lead to hefty fines and costly legal settlements. In other words, a security policy should not be seen as a get-out-of-jail-free card. Of course, a security policy has to be presented in the form of a written document that serves as both a guide and a set of rules and the consequences for breaking them. It should also serve as a foundation for measuring the security performance in your business and to grow and adjust later on. At the same time, your policy should be as clear and concise as possible instead of bombarding people with legalese and technical jargon. After all, a security policy is going to be pretty useless if people can’t understand it. Make sure you explain everything as clearly as possible and, if necessary, in several different ways so that there’s no chance of misunderstanding. The above tips summarize the most important elements of a working security policy and, it is critical that you take them all into account rather than discovering only too late that you should have done more when developing the policy. At the same time, you need to be proactive in creating a realistic and scalable policy that grows and evolves with your business and the needs of your employees and customers.